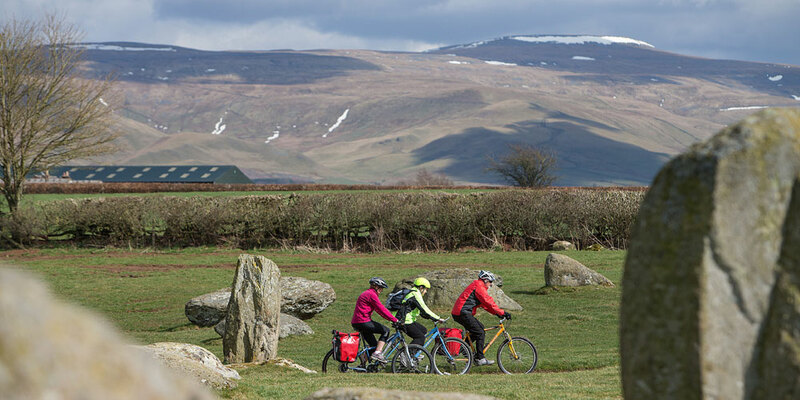 The Lakes & Dales Loop cycle route allows people to get up close to Cumbria’s spectacular landscapes. 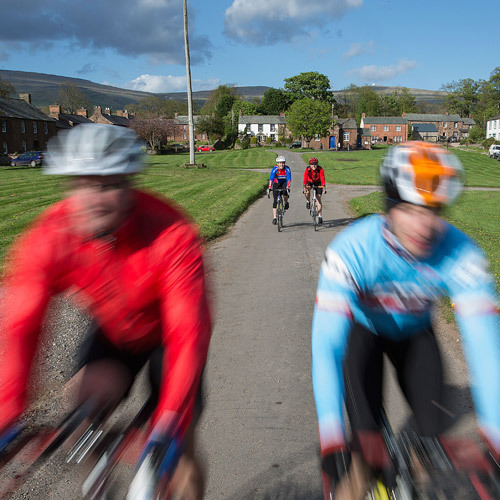 Using quiet country lanes, the route takes in the Lake District, Yorkshire Dales, Eden Valley, Morecambe Bay, and West Cumbria. Penrith – Cockermouth – Eskdale Green – Cartmel – Kirkby Lonsdale – Orton – Penrith. Penrith – Cockermouth – Broughton – Kirkby Lonsdale – Orton – Penrith. 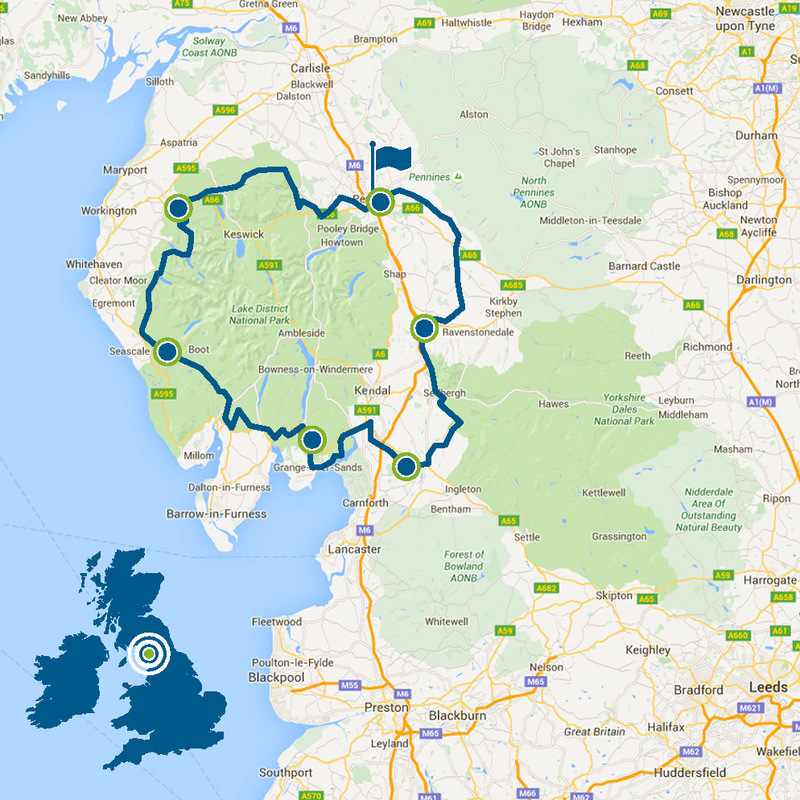 Penrith – Cockermouth – Broughton – Sedbergh – Penrith. Penrith – Gosforth – Kirkby Lonsdale – Penrith. Penrith – Newby Bridge – Penrith. 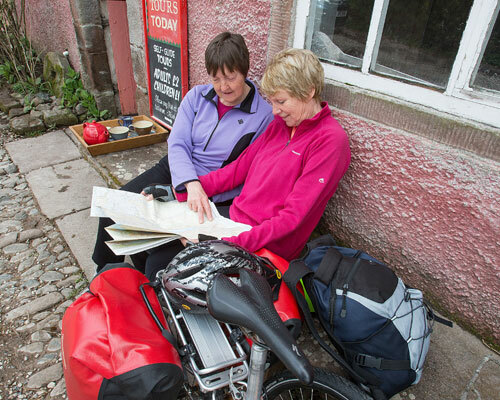 Find bike-friendly accommodation providers along the Lakes and Dales Loop. 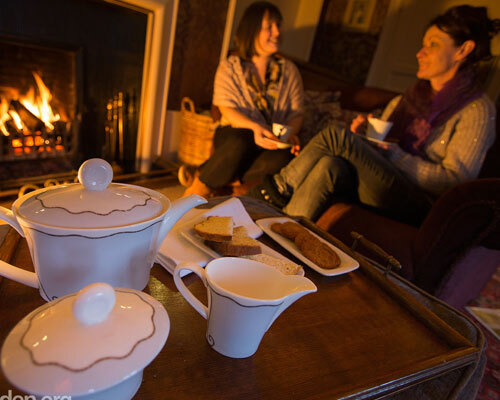 There are lots of places to relax and refuel on tea and cake. Bike problems? See the nearest bike shops on or near to the Lakes & Dales Loop. There are bike hire options along, or near to this circular route. The Lakes and Dales loop is a wonderful bike route - on a par with any of the coast to coast routes .The variety of scenery is superb- coast, valleys, mountains, lakes etc and also lovely little villages where there is often a nice cafe. One of the pluses for me on this Loop was the fact that there were no return transport costs as there are on linear routes.You can join the route anywhere that suits you too. We completed the ride in 5 days enjoying some great B and B s on the way . I would thoroughly recommend the Lakes and Dales loop. The Lakes and Dales Loop is a well-conceived route, on quiet roads, avoiding the severe climbs, but showing some of the best scenery in the Lake District and Western Dales. Some of the less well-known sections, such as Little Asby Common and Mosedale Moss at the foot of Carrock Fell are a real delight. The Loop takes in charming small towns, such as Appleby and Cockermouth, often missed by the tourist. The Loop can be taken at a leisurely pace, or ridden as a challenge. 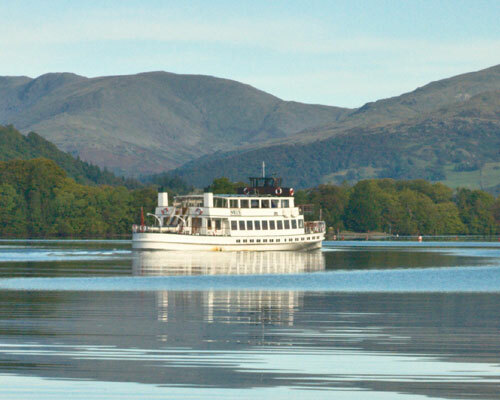 All types of cyclists will enjoy the Lakes and Dales Loop. Just got back from taking 3 days on the L & D Loop. Enjoyed the best cycling I've ever done! The scenery and weather were both stunning. Quiet lanes meant that the cycling was very relaxing. Having said that, if you're doing the ride in 3 days or less, don't think it will be a doddle. There are some fairly humpty climbs which require quite a bit of I.F., but the views at the top are worth it. We were lucky enough to engage the services of Andy Bruce at Yellow Jersey Cycling Holidays. Andy took away all the logistical worries, in terms of transporting the luggage, providing us with detailed turn-by-turn cards for each day, and most importantly, provided tea and goodies at regular intervals! Having Andy's fantastic support meant we could concentrate on the enjoyable task of cycling. Would thoroughly recommend this route to all but absolute beginners.